Two people who had an impact on my life--one through his spiritual example and writing, and one through her political influence (I lived in Pakistan as a child from age 6-10)--died within two days of each other. 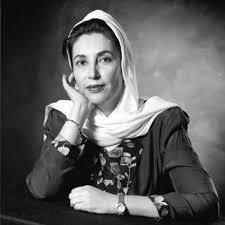 Benazir Bhutto was assassinated after a rally in Pakistan on December 27. Read more at reuters.com, and assistnews.net for news from a Christian perspective. The implications are far-reaching - causing major instability in the Middle East and having an affect right into North America, affecting the U.S. presidential race priorities and more.
" His death has taken many by surprise, Robertson said, because MacDonald spent much of his time — even until recently — preaching, and corresponding with and praying for friends and families he had met." "In one of MacDonald's best-acclaimed books — "Believer's Bible Commentary," a one-volume explanation of the Bible — he recalled an experience he had as a boy in Scotland when he was stricken with diphtheria, a disease that causes respiratory difficulty. His mother had given up all hope for him, he wrote, when suddenly his uncle arrived and said the boy would not die because God spoke to him after he read Psalm 91." "'He knew people all over the world, and he remembered their names,' Wilson said, adding that MacDonald always kept a notepad with him and wrote down people's names to remember them. ... 'So he had a long prayer list,' she said." " While he has sold more than a million copies of his books, which have been translated into several languages, he never took any royalties. 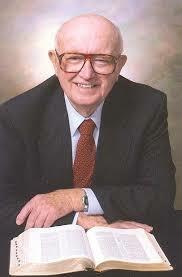 ... Robertson said that such acts of humility were MacDonald's trademark. ... 'He lived a simple life,' Robertson said. 'And he died in simplicity, as well.'" Also, 325 people have posted in the guest book for William MacDonald at his home church website. Read more about his life and passing, and read these comments, at www.fremontcalvary.org. "Our time leading up to Christmas was busy as usual. The ex-street women, and some still active ones came in good number for the Christmas party on December 17. There were 66 all together, not counting the 10 leaders and helpers who were there. The baking had to be done over time, and at odd hours, whenever the lights were on, as power cuts were frequent and long. 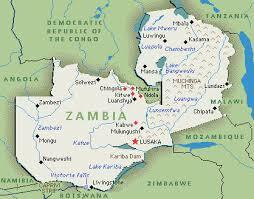 A major generator broke down in the Kafue gorge, the Zesco people informed us. Anyway, the women/girls all got a bag of cookies, cakes and savouries, a drink and gospel calendar. Phebby K. and Samuel M. gave messages and the girls listened attentively. The weather co-operated and though there was some rain, it didn't greatly interrupt the meeting."